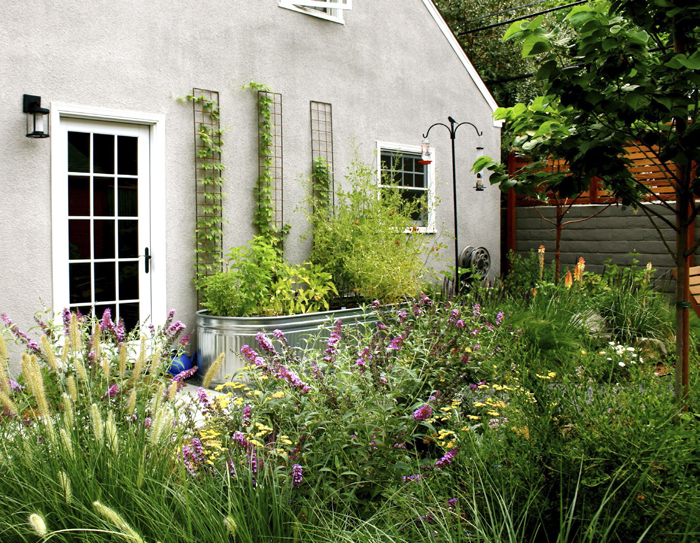 How one couple got the carefree yard of their dreams. 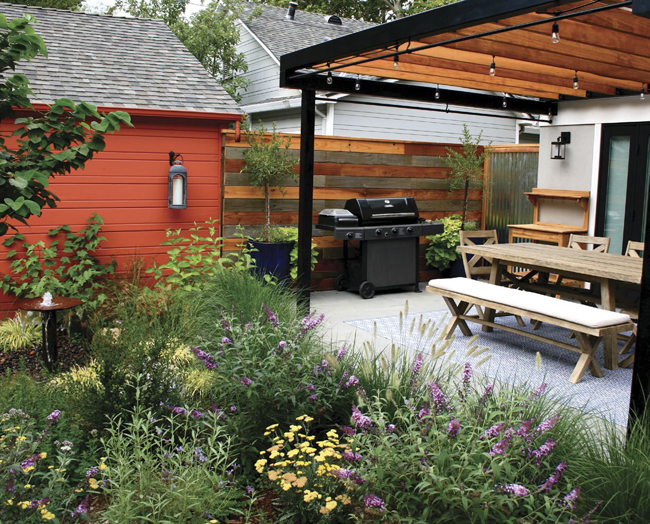 WHEN AMY AND RODD KELSEY hired landscape designer Gary Kernick of Change of Seasons to completely overhaul the backyard of their Sacramento home, they had several goals in mind: Remove the thirsty lawn. Create a dedicated dining space with room for a barbecue. Carve out an area for growing vegetables. And choose plants and materials that make maintenance easy. The trick was fitting all of these requests into a yard that’s only about 1,000 square feet. 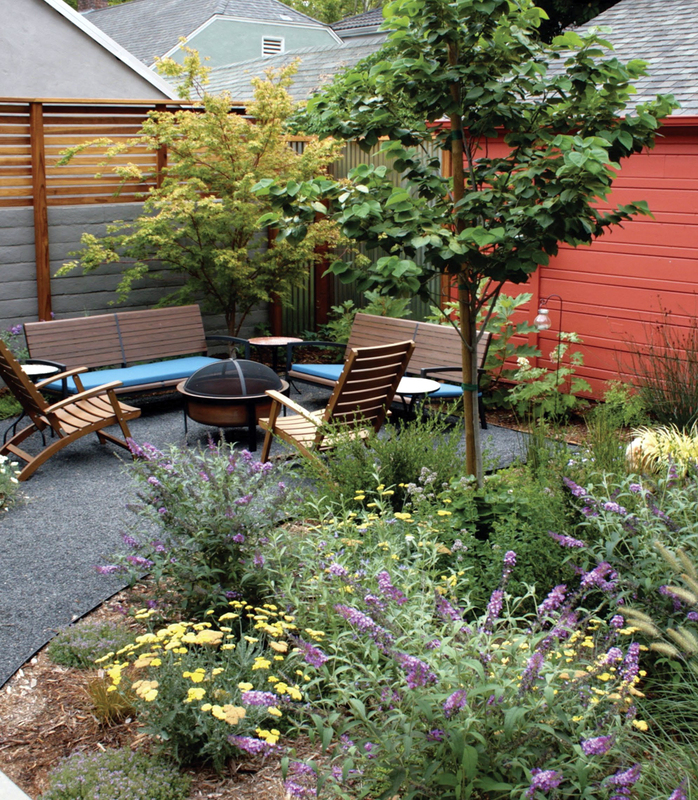 After sketching out several different concepts, Kernick designed a plan that incorporated all of the couple’s wants and needs into a carefree, meadowlike yard where not an inch of space is wasted. Check out the latest tips and trends! Working within a small footprint was the most challenging part of the project. “We had to take all the puzzle pieces and make them fit together in an aesthetic way and a functional way,” says Kernick, who divided the space in the different zones based on function. The dining area was kept close to the house for convenience. A lounge area was situated along the back fence to create a destination and a view from the patio. 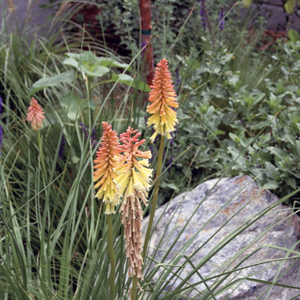 In between, a planting area gives definition to the two spaces. A metal trough adjacent to the house is where the compact herb-and-vegetable garden resides. Creativity was demonstrated in this yard. Kernick got creative with hardscape and fencing materials to give the yard what he describes as an “urban-industrial farmhouse” feel. “In a small garden, I think it’s important that every part of it—from the plants to the paving to the walls and fences—be a part of the visual experience,” explains Kernick. For example, new and recycled woods alternate in a pattern that makes up a fence along the dining area. Corrugated metal sheets on the wall add interest and reinforce the farmhouse look. 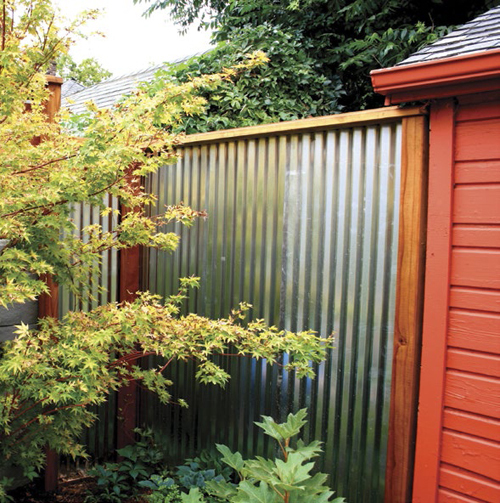 Bold terra cotta-colored paint transforms a neighbor’s garage wall into a focal point.